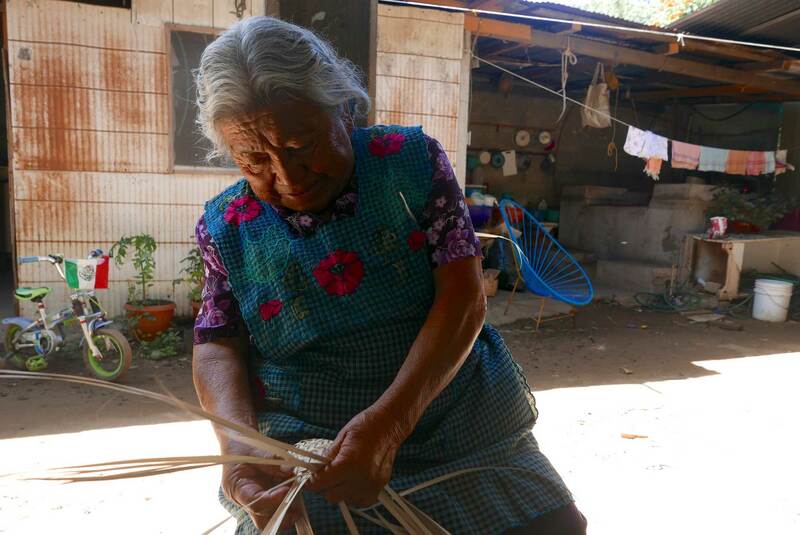 Basketry is one of Mexico’s oldest traditions. 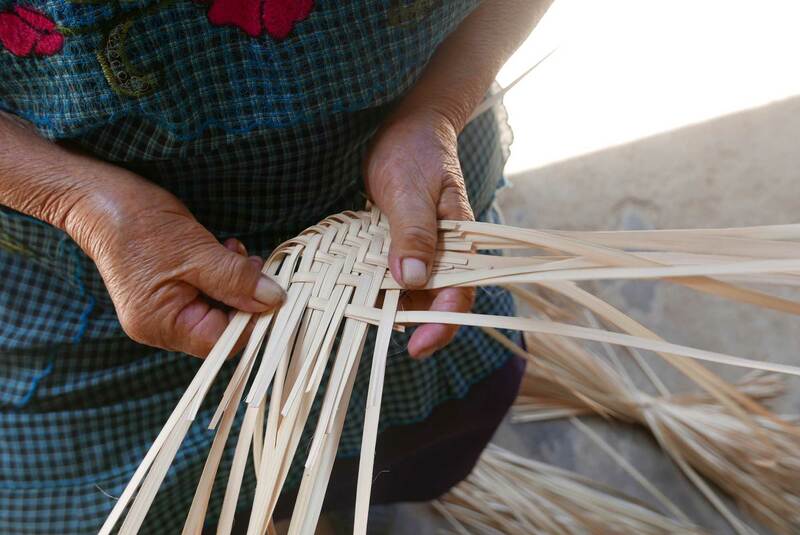 Palm weaving has been practised here for thousands of years and traditional products such as “petates” (mats) and “tenátes” (boxes with lids) are still sold by indigenous artisans in Mexican markets today. 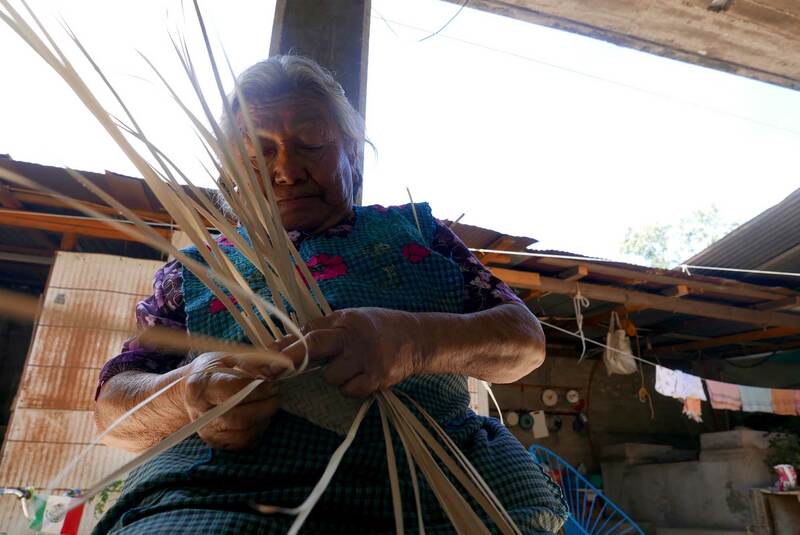 Maria demonstrates how to weave a basket with palm leaves. Different types of palm leaf are used to make different products. They are cut from the trees in the mountains and gathered with the assistance of mules. The leaves are then laid out to dry in the sun for a week. After this they are trimmed and are then ready to weave. Palm weaving is taught from around the age of 8. It takes around 6 months to master the craft. Maria’s fingers move quickly, demonstrating a skill which she has perfected with many years of practice. 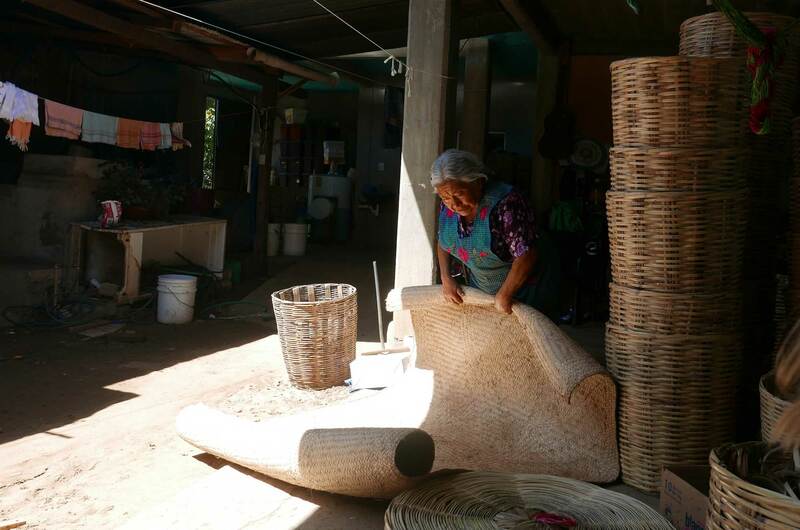 It takes her 3 – 7 hours to make one of our Palma Baskets depending on the size.